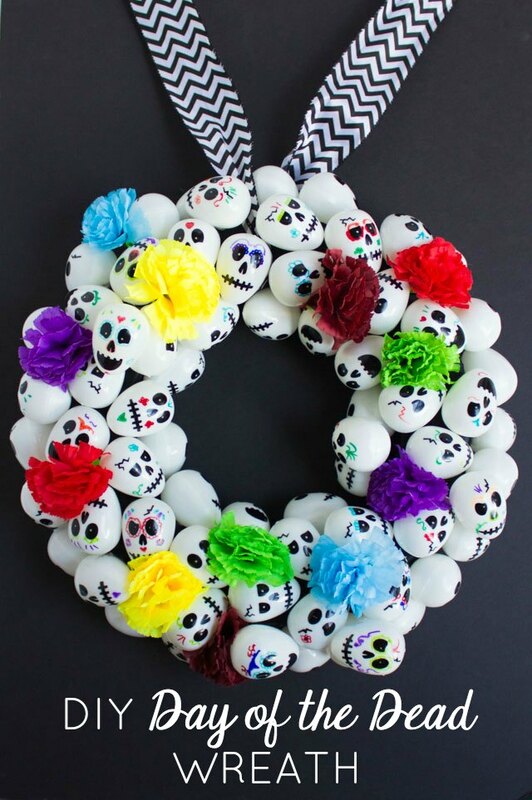 Make a Day of the Dead Wreath! Day of the Dead (Dia de los Muertos) is an important holiday here in San Antonio so I created a special Day of the Dead skull wreath to add to commemorate it! If you’re not familiar with the Day of the Dead, it is a holiday traditionally celebrated in Mexico the day after Halloween to honor deceased loved ones. The holiday is known for its colorful “sugar skulls” that have become popular Halloween decorations in the past couple years. 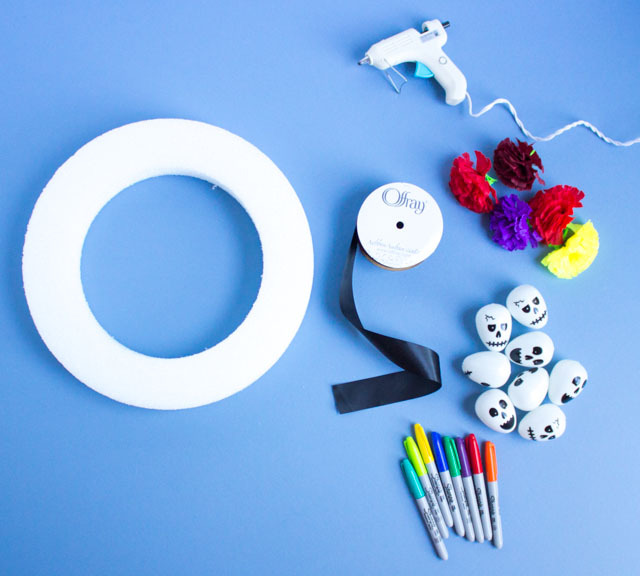 I made this wreath with an unexpected supply – plastic skull eggs from Oriental Trading. But I didn’t stop at the wreath, I decided to decorate a Day of the Dead themed mantel. Check it out! The Day of the Dead decorations make for one colorful mantel! I love that even though it incorporates a number of skulls the look is more happy than spooky. In addition the wreath, I also made these Day of the Dead trees decorated with sugar skull ornaments to place on each side of the mantel. It only takes a few simple supplies and some creative doodling with Sharpies to make this festive wreath. 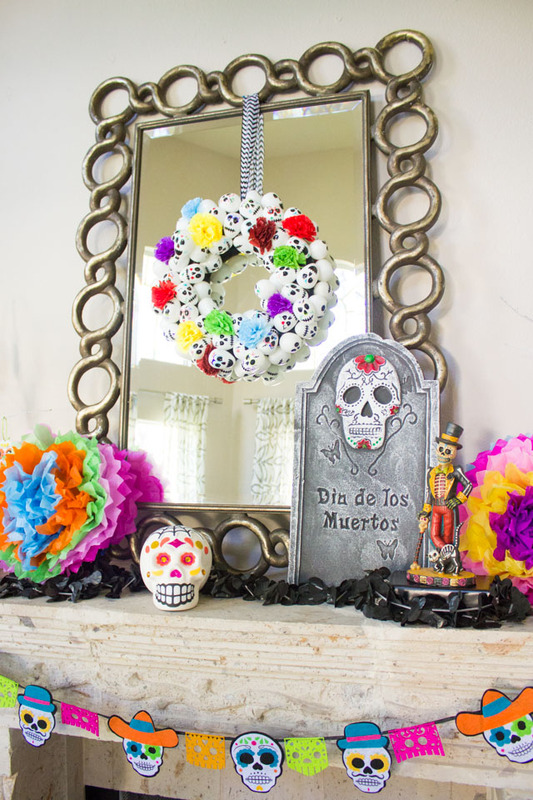 Head to Oriental Trading’s blog for the step-by-step Day of the Dead wreath tutorial and all the details of my Day of the Dead themed mantel!